295 in stock Need More ? THE NUMBER 1 SUNDAY TIMES BESTSELLER24 CONSECUTIVE WEEKS IN THE SUNDAY TIMES TOP 10Why the popular resonance of 'mansplaining' (despite the intense dislike of the term felt by many men)? It hits home for us because it points straight to what it feels like not to be taken seriously: a bit like when I get lectured on Roman history on Twitter. Britain's best-known classicist Mary Beard, is also a committed and vocal feminist. With wry wit, she revisits the gender agenda and shows how history has treated powerful women. Her examples range from the classical world to the modern day, from Medusa and Athena to Theresa May and Hillary Clinton. Beard explores the cultural underpinnings of misogyny, considering the public voice of women, our cultural assumptions about women's relationship with power, and how powerful women resist being packaged into a male template. 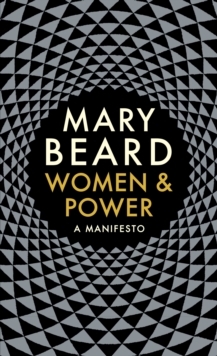 With personal reflections on her own experiences of the sexism and gendered aggression she has endured online, Mary asks: if women aren't perceived to be within the structures of power, isn't it power that we need to redefine?From the author of international bestseller SPQR: A History of Ancient Rome.